We know that it is easier to wash your child’s hands for them, but from an early stage we tried to help them to wash their hands by themselves. Children in particular love selfmade plasticine, once they get it in their hands they will not want to give it back! First, put the oil in a bowl and stir it in with 5-7 drips of food colour. We like to use essential oils additionally, preferably lavender which has an antibacterial effect and a pleasant smell. It also soothes the mood of children. While stirring continuously you add the shower gel, salt and the corn starch. The salt makes the soap more durable. You can add a bit more corn starch or shower gel if you want to adjust the consistency. Form a nice and round ball. 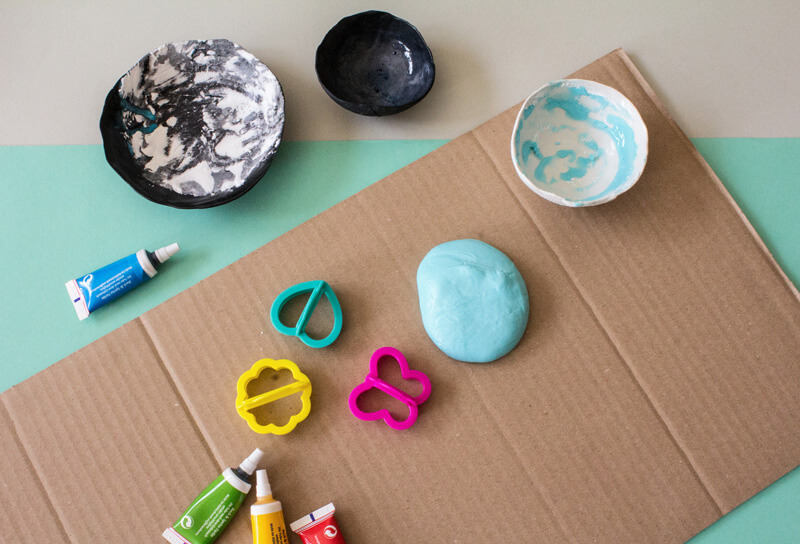 Knead the plasticine with your hand or a flat object so that it becomes flat. 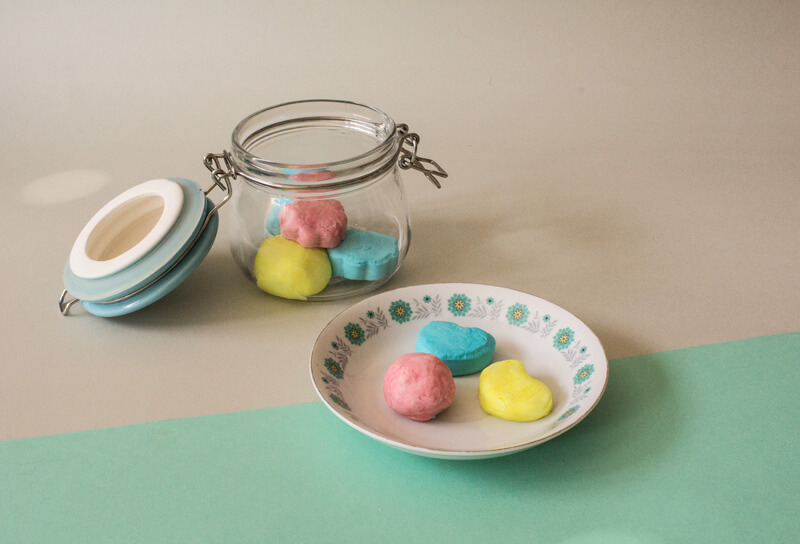 Create different shapes with baking cutters and put the pieces into an airtight jar . And don’t forget to put one piece of soap to the sink already! You can also use the self made plasticine to form little figures, in the bathtub, the shower, the sink- and of course as a gift! We wish you a lot of fun with our idea! Your BADALA family! P.S. : Would you like to see more DIY ideas from us? Then check out other Playbrush blogs or visit our BADALA website badalasticker.com and have a look.